We all agree that the Christmas season is hard on the purse strings of all parents and those letters to Father Christmas just seem to get longer each year! Our friends at Wauwaa completely agree and to ease the pressure, have organised a Christmas treat for LittleBird Members. Wauwaa are offering 25% off their online shop – yay! Great for stocking fillers, presents, clothes and even party shoes! From Joules baby and kidswear to Melissa & Doug toys and Frozen Accessories, you are bound to find something your little one will love. Shop, enjoy and save but be quick – the offer ends 11th December 2014! 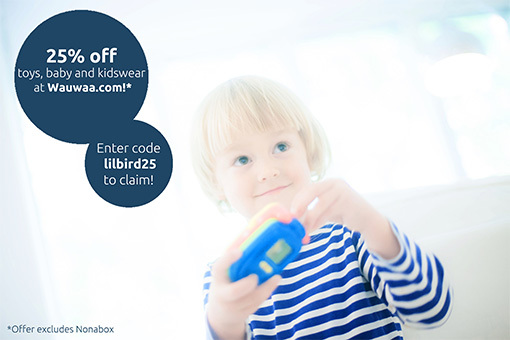 To redeem your 25% off simply enter the code lilbird25 at checkout! Sign up with us today and check out our Member Offers page!